Although the fifth portrait was revealed in 2015 and can be seen on some 2015 proof sovereigns, the 2015 uncirculated sovereigns still have Ian Rank-Broadley's fourth definitive portrait design on the obverse. 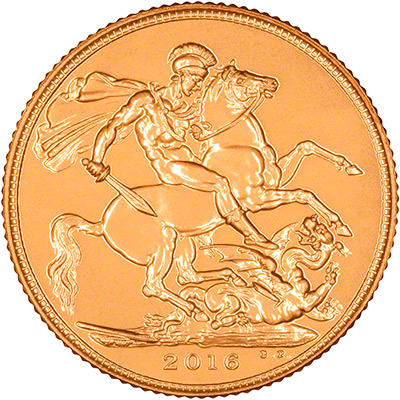 The 2016 uncirculated sovereign is therefore the first uncirculated sovereign to depict the fifth effigy. We received our first delivery of coins on 14th January, 2016. 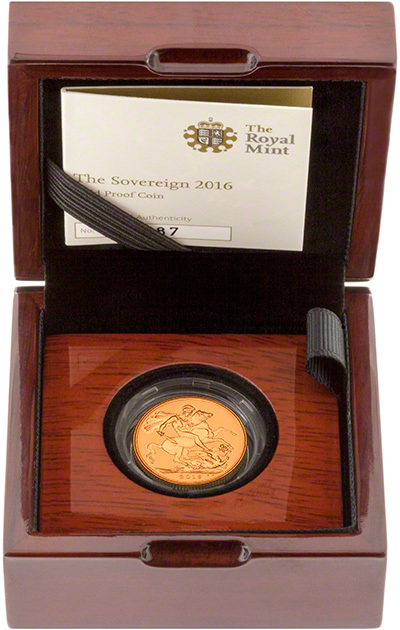 We have the proof version of the 2016 sovereign available here. 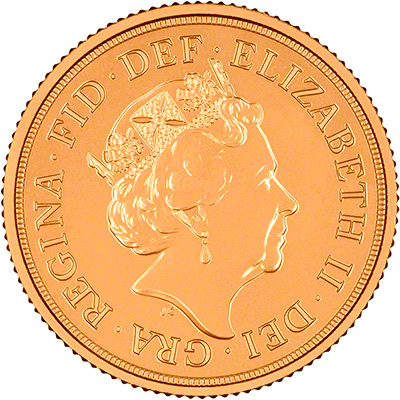 The coin features a special portrait of Queen Elizabeth II to celebrate her 90th Birthday. We received our first delivery of proof sovereigns on 18th November, 2015.